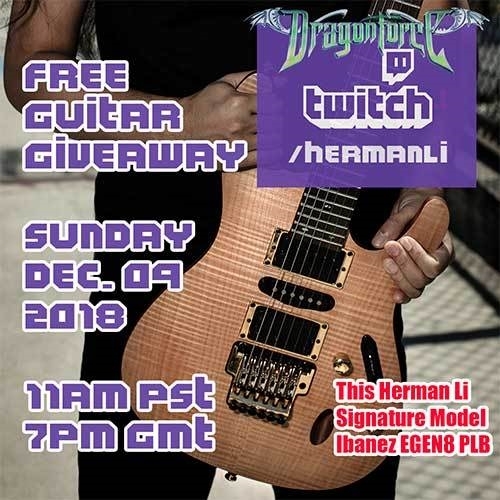 On Sunday, December 9 at 7 p.m. GMT / 2 p.m. EST / 11:00 a.m. PST, DRAGONFORCE guitarist Herman Li will be giving away his personal Ibanez EGEN 8 signature guitar live on his Twitch stream. To enter the giveaway, viewers will need to be following or subscribing to the stream and watching the giveaway stream live. 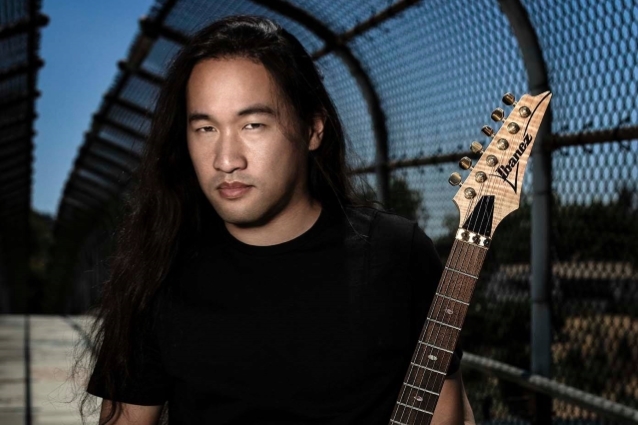 DRAGONFORCE is currently in the studio recording its eighth album and has been livestreaming recording sessions on Herman's Twitch page. This guitar, the first-ever production sample of the EGEN 8 PLB, has been used during recording sessions for the new album, to be released in 2019. 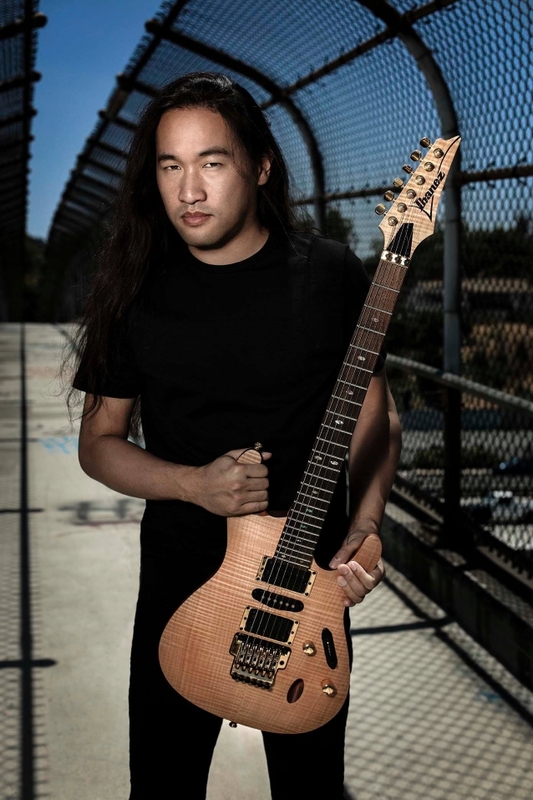 Other prizes include a one-hour online guitar lesson with Li and a one-hour online drum lesson with DRAGONFORCE drummer Gee Anzalone. For a complete list of prizes, go to this location. DRAGONFORCE's latest album, "Reaching Into Infinity", was released in May 2017 via earMUSIC on CD, LP and a special-edition CD and DVD. The follow-up to 2014's "Maximum Overload" marked DRAGONFORCE's third full-length studio release with singer Marc Hudson, who joined the group in 2011 following the departure of original frontman ZP Theart (now in SKID ROW).